An aura of magic is created by the cascade of lights on the tree and through the gleaming smiles on the faces of singers and celebrants alike. Collegiate a capella is alive and treasured at Princeton University. 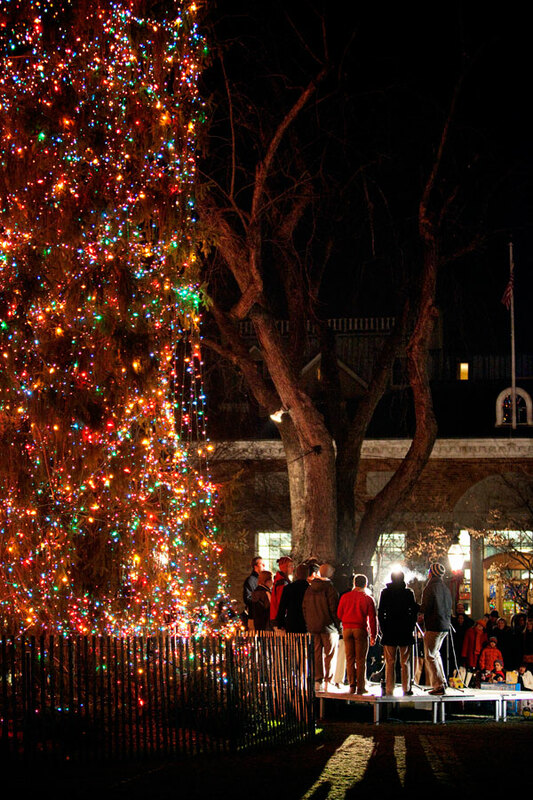 It began in the 1930s and continues today during the holidays on the Green in Palmer Square and throughout the year at traditional arch sings - public performances held under the acoustically wonderful large, Gothic archways of Princeton's campus. This year, the oldest a capella group at Princeton University, The Princeton Nassoons, were invited to perform in the Grand Foyer at the White House for the Obamas.